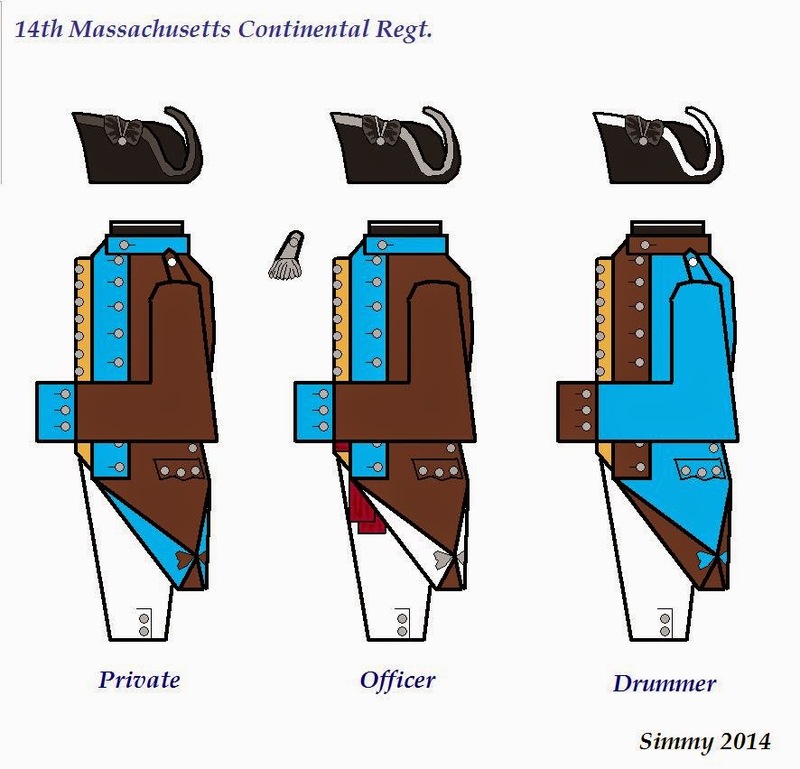 The 14th Massachusetts Continental Regt. 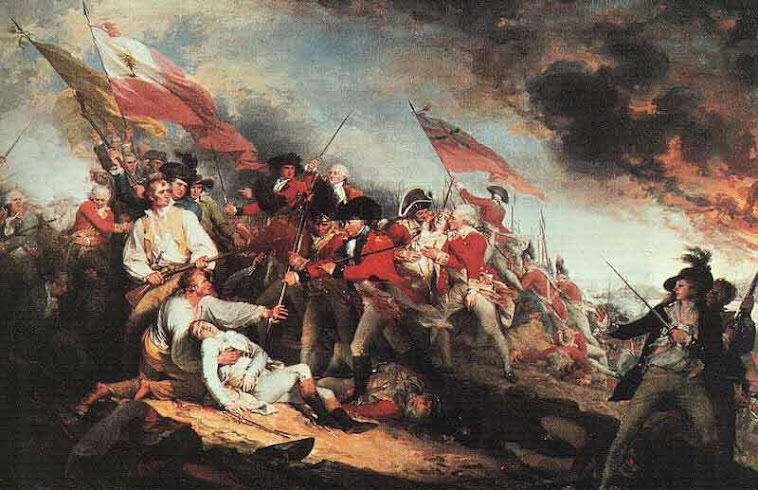 fought at Saratoga, in defense of Philadelphia, and at Monmouth Court House. It was organized in spring 1777 at Boston to consist of 8 companies from Plymouth, Bristol, Barnstable, Suffolk, Cumberland and Worcester Counties. 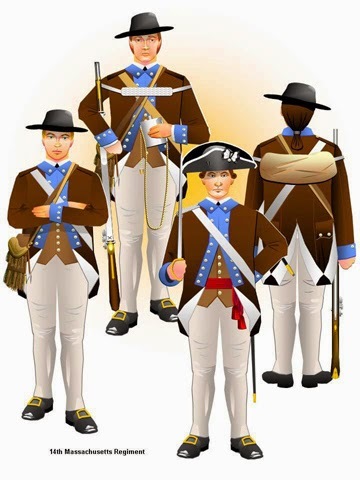 It was disbanded January 1, 1781 at West Point, New York. The "Independent Chronicle" of October 22, 1778 reported a deserter clad in a “dark brown regimental coat, faced with light blue, reddish-brown waistcoat, peach blossom trousers”. In this instance trousers might mean gaiter-trousers or the straight-leg or “stovepipe” variety. Both are known to have been worn among many units. My 14th Massachusetts is made up of 16 figures. 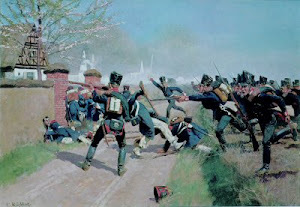 Front Rank figures painting by Luca Onesti (Strategianova). 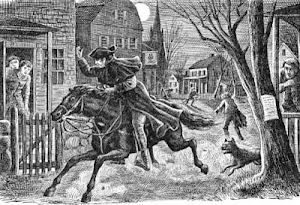 Il 14° Reggimento Continentale del Massachusetts ha combattuto a Saratoga, in difesa di Philadelphia, e a Monmouth Court House. È stato organizzato nella primavera del 1777 a Boston con la consistenza di 8 compagnie provenienti dalle contee di Plymouth, Bristol, Barnstable, Suffolk, Cumberland e Worcester. Il reggimento è stato sciolto il 1 gennaio 1781 a West Point, New York. L’Independent Chronicle del 22 ottobre 1778 ha riferito di un disertore vestito con “una giubba reggimentale marrone scuro, con mostreggiature azzurre, panciotto marrone rossiccio, pantaloni color fiori di pesca". In questo caso i pantaloni potrebbero essere stati delle ghette-pantalone o calzoni lunghi del tipo a "tubo di stufa". Entrambi sono noti per essere stati indossati da molte unità. Il mio 14° Massachusetts è composto da 16 figure. Soldatini Front Rank dipinti da Luca Onesti (Strategianova). 14th Massachusetts - rear view. Command party (standard bearer, officer and drummer). Ligth company of 14th Massachusetts. Private in hunting shirt and officer. The 14th Massachusetts in line. Privates, officer an rear view. thanks you're always a friend.